Highland, the home of President James Monroe, in a partnership with the Speak! 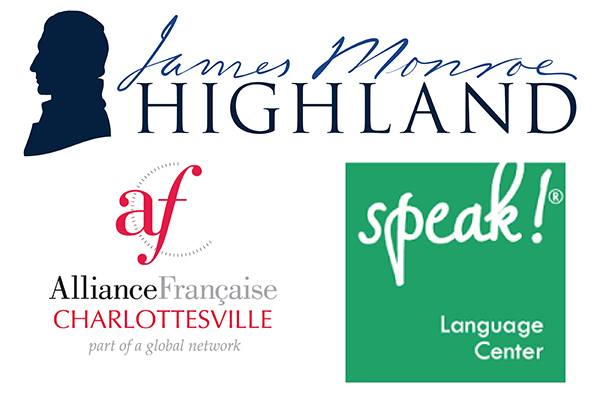 Language Center and The Alliance Française Charlottesville, is excited to announce On the Farm with Mr. Monroe! This French and Spanish enrichment camp for children ages 4-10 will be held Monday through Friday, July 15-19, from 8:45 a.m. to 3:15 p.m. The camp will focus on the French and Spanish languages and forge the connection between France, Spain, and the legacy of James Monroe. 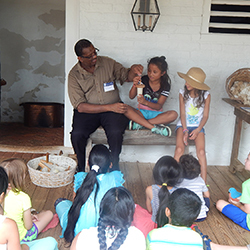 The camp will include daily language lessons, private tours of the house and gardens with scavenger hunts, afternoon historic crafts on the property, period parlor games, nature walks, and stories. This is the first of three summer 2019 French and Spanish language enrichment camps. Please check our events page for other dates. The cost of this event is $335 per student for one week, $650 per student for two weeks, or $925 per student for three weeks. Click on the link below for availability and to register.